“Many companies are adopting cloud technologies for high scalability, flexibility and innovation. 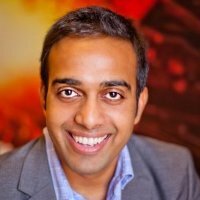 At Rackspace, we offer customers a wide variety of IT environments including public, private, dedicated and hybrid clouds, as well as managed services to help them run these complex technologies, so they can focus on their core businesses,” begins Prashanth Chandrasekar, GM, DevOps Business Segment at Rackspace. “We’re seeing increasing interest in DevOps from customers who want to achieve rapid app development and deployment. Many are asking for help, automating their infrastructure and app environments through code so they don’t have to hire expensive talent or expend resources managing the infrastructure themselves,” he adds. Rackspace’s flagship DevOps offering, Rackspace DevOps Automation Service, completely automates the infrastructure or application environments. The service uses four different pillars—infrastructure as code, application performance monitoring, workload automation and collaboration via ChatOps. This enables faster deployment and improves operational efficiency. “The whole idea is to transform the environment by creating the infrastructure as code. This helps the organization scale more efficiently through continuous deployment,” says Chandrasekar. Another facet of Rackspace’s DevOps offering is its DevOps Advisory & Professional Services. With this offering, the company deploys its DevOps professionals who guide companies transitioning to DevOps in order to accelerate their time to market and improve deployment quality. “Not every company is immediately ready to adopt DevOps. Some organizations would rather adopt DevOps in-house but don’t know where to start. Rackspace’s DevOps Advisory & Professional Services provide the guidance and expertise to help organizations augment and accelerate their DevOps journey,” states Chandrasekar. Rackspace distinguishes itself from other companies in the DevOps landscape by delivering open technology solutions that align with key trends. To ensure that customers can achieve flexibility and customize their environments, Rackspace DevOps supports a range of DevOps tools including Chef, Windows PowerShell DSC, Rackspace Cloud Monitoring, New Relic, Slack and more. Once applications are deployed, the company provides 24x7x365 managed support for its customers. “Our methods are very different from other companies, in terms of providing managed services. Our DevOps engineers use application performance monitoring tools such as New Relic, Logstash and StatsD/Graphite to spot and respond to performance anomalies before they cause service disruption,” states Chandrasekar. Rackspace customers like Appboy, ShowPitch and Omaze have found high value in leveraging Rackspace’s DevOps Automation Service to scale efficiently as they grow. But DevOps isn’t contained to Rackspace. In the IT industry at large, DevOps is taking off and proliferating IT teams in all business sectors. As DevOps dissolves more silos and brings businesses the collaborative efficiency of different disciplines working together from inception to completion, we expect to see more and more changes in the way IT teams operate. At the forefront of the DevOps movement, it will be interesting to see how Rackspace’s innovative offerings impact this new paradigm of DevOps shaping the future of IT. A leader in managed cloud with technical expertise and Fanatical Support that allow companies to tap the power of the cloud without the pain of hiring experts in dozens of complex technologies.